As of today, unmanned drones (quadcopters) are one of the most interesting and exciting radio-controlled aircrafts. They are not only desirable models in children collections of radio-controlled toys, but they also serve as reliable assistants in video filming and photography. Unmanned drone is a convenient platform for both scientific and commercial applications. Using quadcopters today many companies already create platforms for monitoring and inspecting various commercial structures. Operating a drone can make absolutely anyone feel very excited. Such new experiences are especially attractive to children. For them, operating a radio-controlled aircraft seems equivalent to experiencing magic. 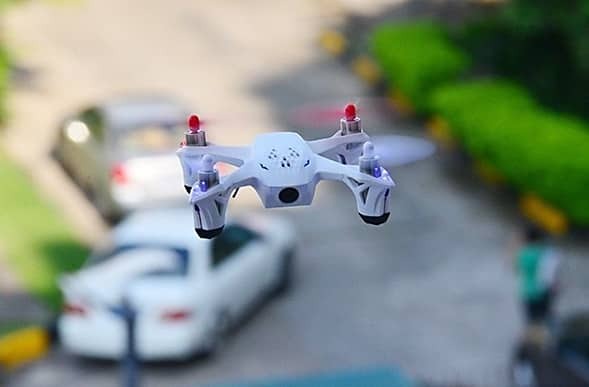 During flight, drone assumes a horizontal position relative to the ground, can move in any direction and hover over a particular spot. The main difference between a quadcopter and a helicopter is in the simplicity of operation. Drone is much more maneuverable and more stable in the air, and that is why even a beginner pilot can manage it. 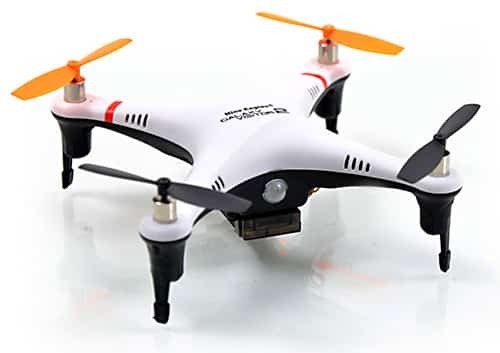 Quadcopters have quickly gained popularity due to the ease of operation, functionality and robust construction. Flying outdoors now present no difficulties even under the conditions of gusty wind. The mechanism of the drone as compared to that of a similar helicopter is more reliable because there are almost no moving parts. Stability and soft ride of the drone allow you to create real masterpieces of photography. 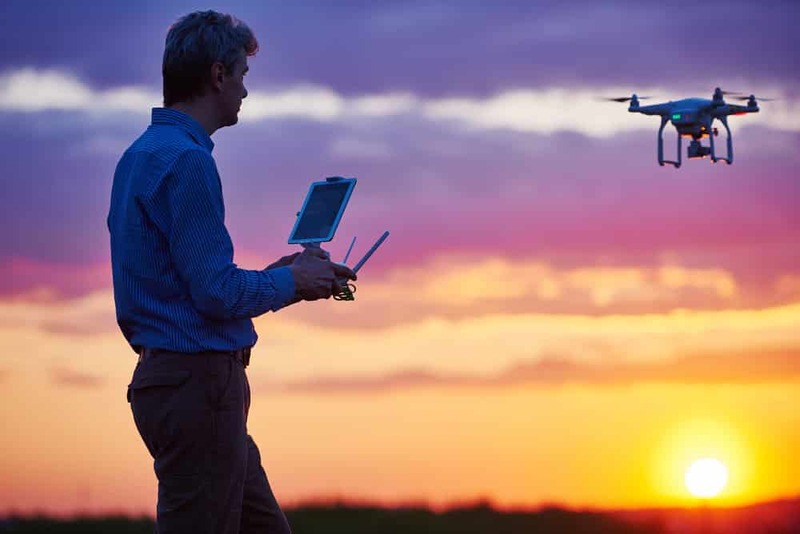 In short, the unmanned flying drone is a creative tool that allows expanding the possibilities of not only the professional film industry but also amateur video-recording. The best engineers of a well-known company proudly presented the model Hubsan X4 H107D, which being on a small size has several functionalities that were previously available only in serious equipment of a professional level. This Unmanned drone fits on your palm and at the same time is fantastically responsive, offers great flight stability and engine power. It is controlled by an operator on the ground with a remote. You can view an image from a quadcopter from up to 700 meters. Another interesting model – quadcopter Nine Eagles Galaxy Visitor 2. This is a miniature copy of the DJI Phantom, which at the moment is a top seller because it has no analogues in its class. A solid body, the ability to connect a camcorder, holding a flight course regardless of its attitude position and a reasonable price – these are the main advantages of this model. This drone was truly made for real connoisseurs of flying machines! Do you like eye-catching flights? Now at a great distance you can easily take photographs! Quadcopter have long been helping many photographers in creating unforgettable images. Today Unmanned drone can easily become a must have instrument in the hands of a successful photographer. Of course, the quality of the photographs taken by drones are slightly inferior to the aerial photos taken from airplanes, but if you are looking into the future you will realize that such aerial photography is much more promising because every year the batteries are becoming more and more powerful and they weigh less and less.